Let your customers know you're thinking about them by sending them custom imprinted promotional Mugs.Help customers hold onto your message longer, with double-wall construction that keeps beverages hot or cold for work and travel. 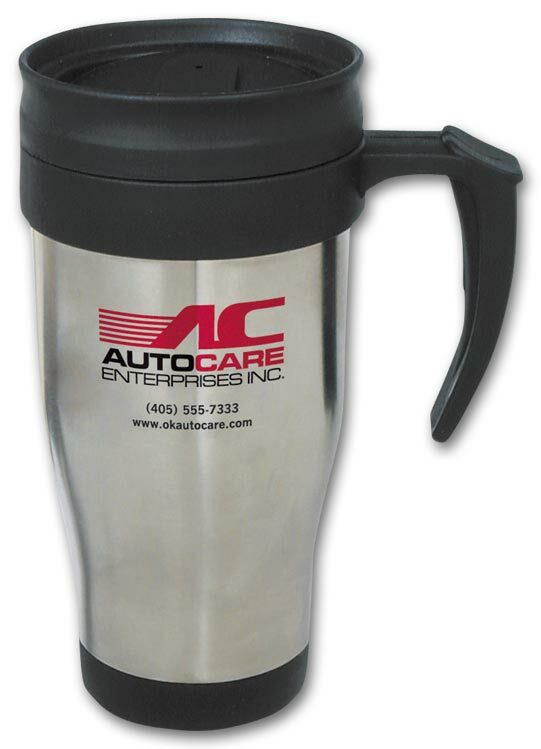 Let your customers know you're thinking about them by sending them custom imprinted promotional Tumblers.Help customers hold onto your message longer, with double-wall construction that keeps beverages hot or cold for work and travel. 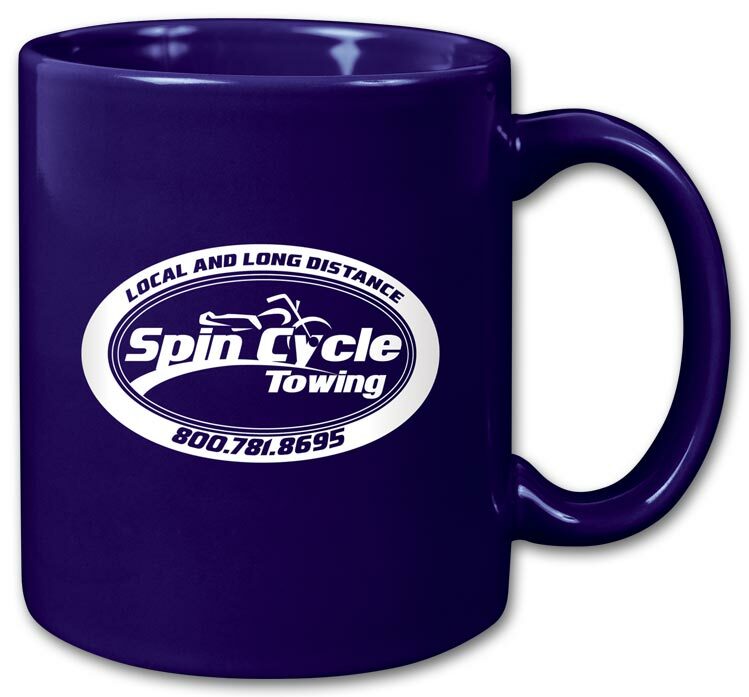 Let your customers know you're thinking about them by sending them custom imprinted promotional Mugs.Stands out from standard mugs with European flair, ensuring that customers will hold onto your message for thousands of extra sips. 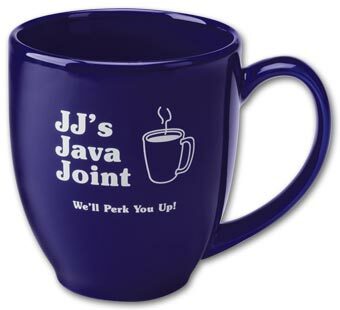 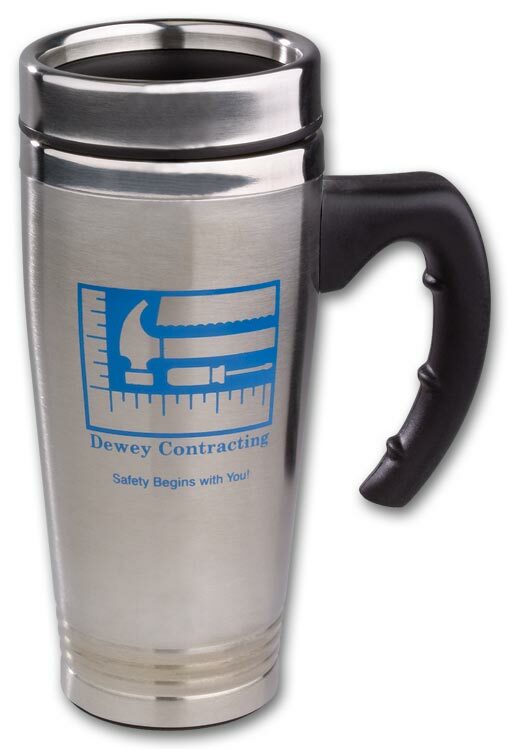 Build customer loyalty and sales with this stainless steel mug they'll use time after time. 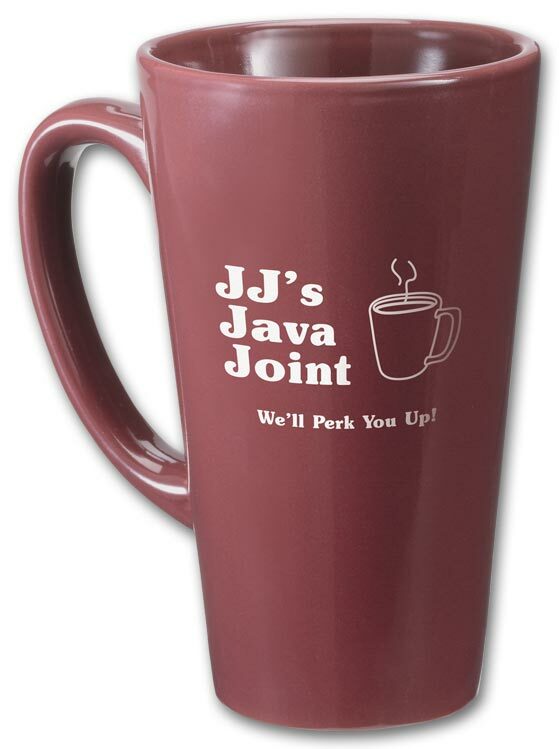 Keep your message in front of customers with every sip from this handsome mug. 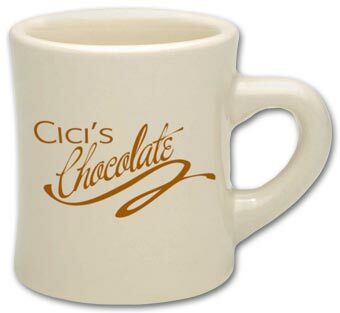 A great gift or giveaway! Popular insulated travel mug puts your message on everyone's lips! 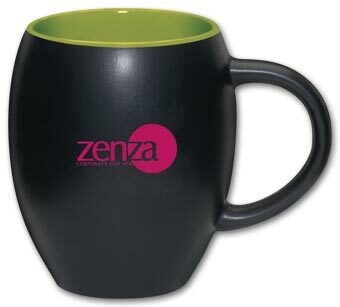 BPA-free mug is easy-opening & spill-resistant for home, office or the road. 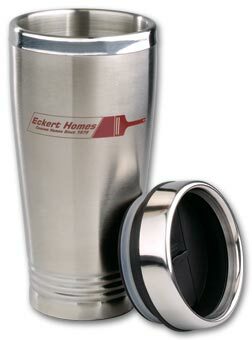 Classic steel travel mug projects a sleek image, driving awareness of your business with every sip! Keep your message in front of customers with every sip from this affordable ceramic mug. A great gift or giveaway! 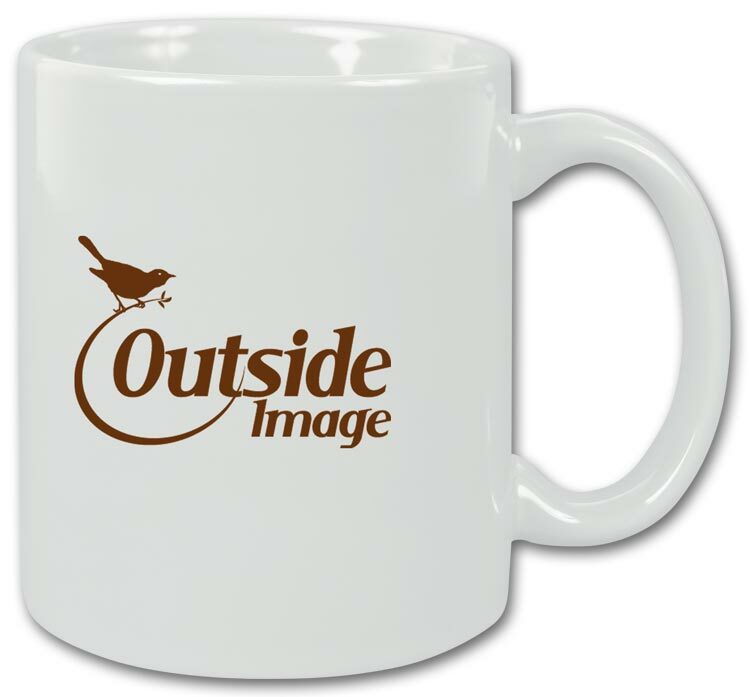 Add your logo to this earth tone shaded mug. 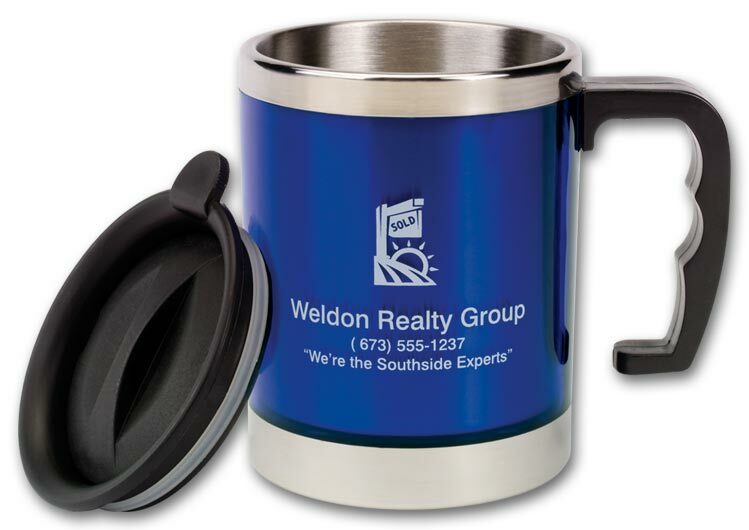 Great for beverages or to enjoy your morning oatmeal. New update to an old classic, our barrel shaped mug with color interior. Get exposure with every sip. 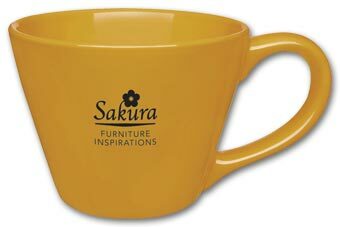 Great barrel shape with colorful interior. 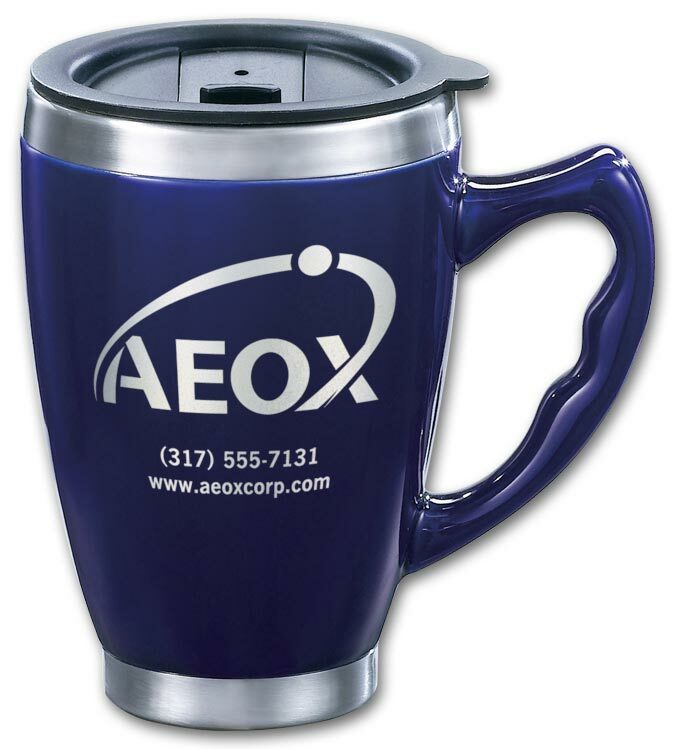 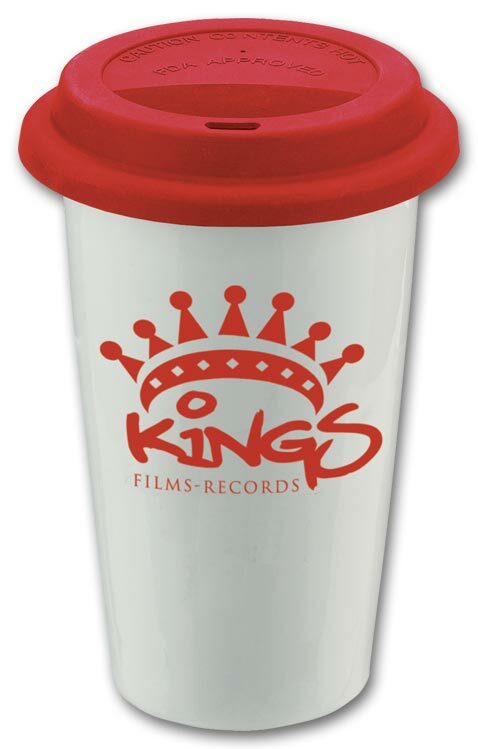 Let your customers know you're thinking about them by sending them custom imprinted promotional mugs. 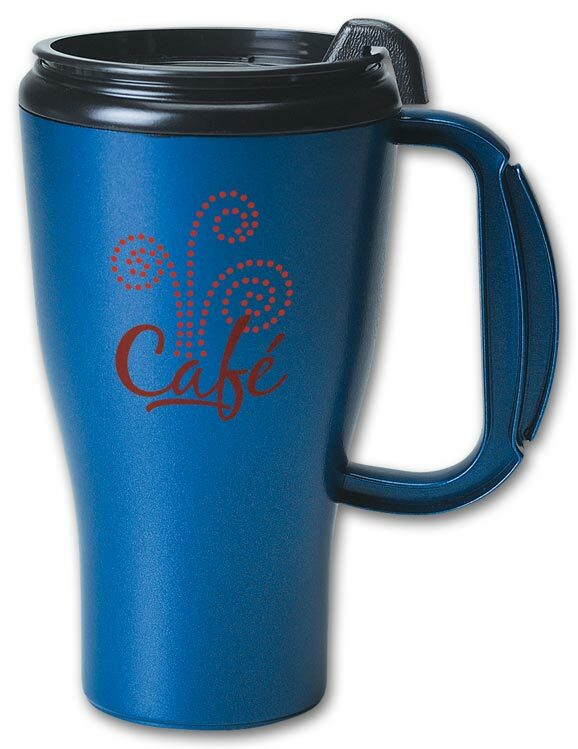 Keep your message in front of customers with every sip. Great low-cost gift or giveaway.